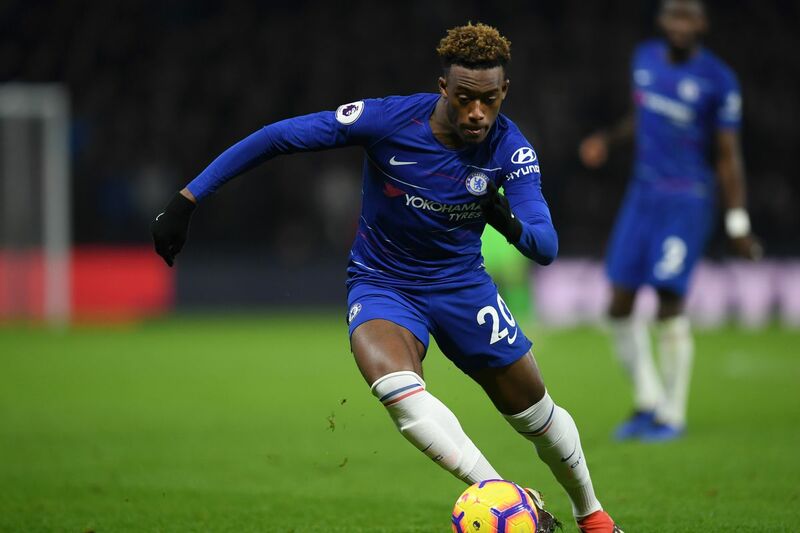 Home Bundesliga Bayern Munich Should Maurizio Sarri be playing Callum Hudson-Odoi more? It has been a mixed season for Chelsea who started the season brightly, ended Manchester City’s unbeaten run and looked certain to challenge for the title. However, Maurizio Sarri’s men have dropped off significantly since that period as they battle the Europa League and League Cup alongside challenging for the title. They are currently sat in 5th place following Manchester United’s resurgence. Chelsea boss Sarri has relied heavily on his older members to help the side but it might be time to turn to the youth with the likes of Ruben Loftus-Cheek, Ethan Ampadu and Callum Hudson-Odoi all impressing this season in the cup competitions. The one who sticks out is Hudson-Odoi . The talented winger has been subject to major interest from Bayern Munich and a bid did materialise for him in the region of £35 million back in January. For a player who has not started a single Premier League game that is huge money. The German giants are obviously interested in him because of his potential and how he can develop as a player. This has turned Hudson-Odoi’s head and rightfully so. With players like Arjen Robben and Franck Ribery coming to the end of their career in Germany he must be feeling that he has a chance to go into the side and make himself an ever present member of the side. At just 18 years old he has all the time and capabilities to do this. He will have seen how successful it has been for other youngsters with Jadon Sancho leaving Manchester City and becoming a star at Borussia Dortmund. He will have also seen Reiss Nelson’s loan move being a success at Hoffenheim and how he will be welcomed back into the Arsenal set up. Hudson-Odoi might be accused of being too impatient and thinking that he is better than he is but when the offer is on the table few would turn it down. Bayern Munich are going through a transition whereas Chelsea are struggling to keep a manager, so philosophies and ideas change from the next man through the door. It shows ambition from Hudson-Odoi as oppose to impetuous brattish behaviour. Sarri would be respected a lot more by the Chelsea fans if he gave the local London lad a chance in the Premier League. He is an ever present member of the Europa League and F.A Cup side but has not been given a fair chance to prove himself on the proper stage and with Chelsea stuttering who would it be harming? With Eden Hazard’s latest cryptic message about his future at Chelsea, Sarri will be wanting to keep hold of all his prized assets. It is more than likely that Real Madrid will swoop in for Hazard but Bayern will also return for Hudson-Odoi and the are unlikely to be alone. Sarri needs to start giving more game time to the 18 year old and show that he trusts him. He obviously wants him to be part of his future and he has to show that by starting him in a few more Premier League games rather than just cup competitions and coming off the bench for the last ten minutes.